Since 1962, Allpro Contracting has been proudly providing the highest quality remodeling services to both commercial and residential property owners. Our highly skilled professionals have the knowledge and experience necessary to help you vastly improve your property, whether you’re looking into kitchen remodeling or installing new patios in Lagrange, IL. We are adept at both interior and exterior remodeling projects. With the help of our Lagrange remodeling contractors, you will achieve all of your property improvement goals. Our locally owned and operated company is honored by the fact that so many residents and businesses have trusted us over the decades. We understand how important your property is to you and your family. In every project we undertake, our Lagrange remodeling contractors strive to honor the trust of our customers by putting our best effort forward. We are not pleased with the results of our efforts unless we achieve your complete and total satisfaction. 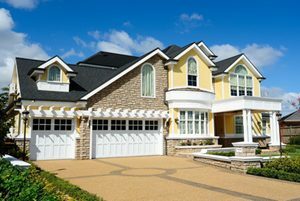 For the highest quality interior and exterior remodeling services in Lagrange, call Allpro Construction today. Our polite, professional, and dedicate staff would be happy to help you get your project off the ground. Our experts can answer any questions that you may have about your property or our exceptional skills and services. We can schedule your appointment today. Your bathrooms are highly functional living spaces. You and your family rely on these areas each and every morning to get ready for the day. Your master bathroom should be a place where you can relax in comfort on the weekend. Through a well-managed bathroom remodeling project, you can improve each and every moment that you spend in the area. Our Experts would be honored to assist you with the effort. If you have an unfinished basement in your Lagrange home, you have the perfect opportunity to add valuable living space to your residence in the most cost-effective manner. Our basement remodeling contractors can help you transform the area into a new bedroom, bathroom, entertainment area, or study. With our assistance, you will be able to create a room that is perfectly customized to you and your family. If you are looking for a professional Lagrange remodeling contractor for patios, driveways or other interior and exterior services, then please call 708-658-3500 or complete our online request form.